The school holiday is around the corner, what can you teach your children to make? 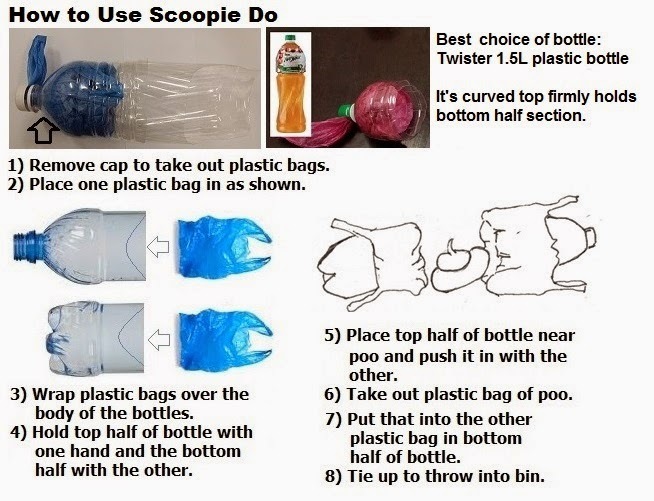 For pet lovers out there, how about learning to make a poo scoop? 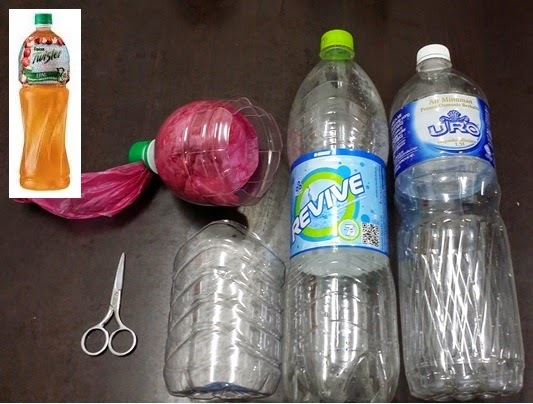 That way you can make use of the grocery plastic bags you have received and the bottles from soda drinks your children will be gobbling on. Your children can also make them as gifts for their friends who have pets at home. 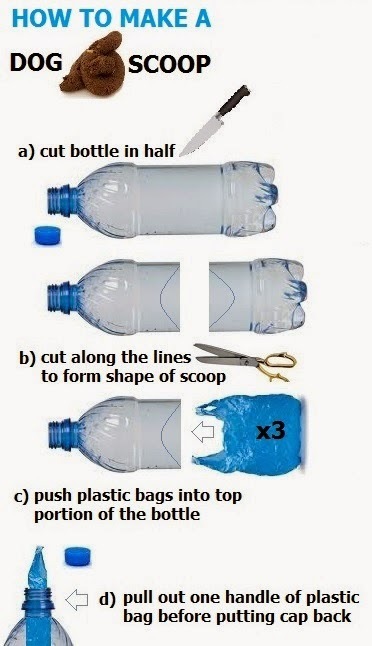 You do not have to cut curves on the bottle to make it look like a scoop if you do not want to. Just make sure that the cut edges are smooth. 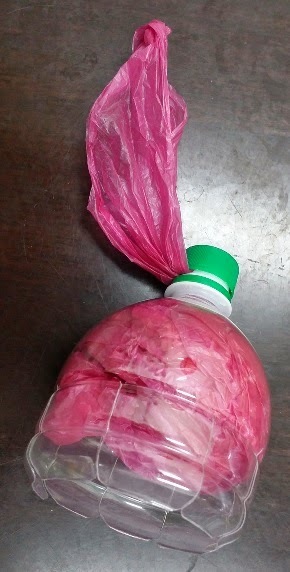 I discovered that Twister 1.5L bottles works best as scoop as the bottom section of most 1.5L bottles can fit in firmly into its top section cavity so that it will not easily drop even when you swing it. 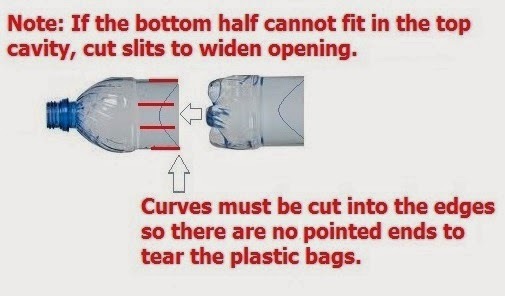 To use Twister 1.5L bottle, you have to cut out the narrowest part of the bottle and cut 8 slits to enable it to widen to push in bottom section of bottle. Cut curves into the edges as shown in the picture below. That way plastic bags inserted will not be torn by sharp edges. Are you ready to use the scoop? This is how it works. Share this concept with your friends. Let us work together towards poo free parks. 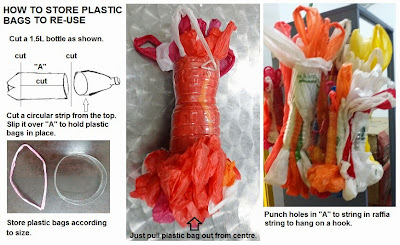 P/S You don't have to mess up your home collecting grocery plastic bags. Here is how.